Form or functionality? That’s question that often confronts us when we are looking for phone and tablet accessories. There are lots of products on the market that perform great but look only so-so. On the other hand, I often see products that look amazing, only to find their performance to be lacking or subpar. The DUO by Cooler Master is one accessory that performs as well as it looks. Now I am a usability type of guy. I do like things to look cool, but for me, the function is more important than the look. When I first saw the DUO I figured, “this is probably all show and no go”, but was pleasantly surprised at how wrong I was. First lets talk about the design and make up of the DUO. 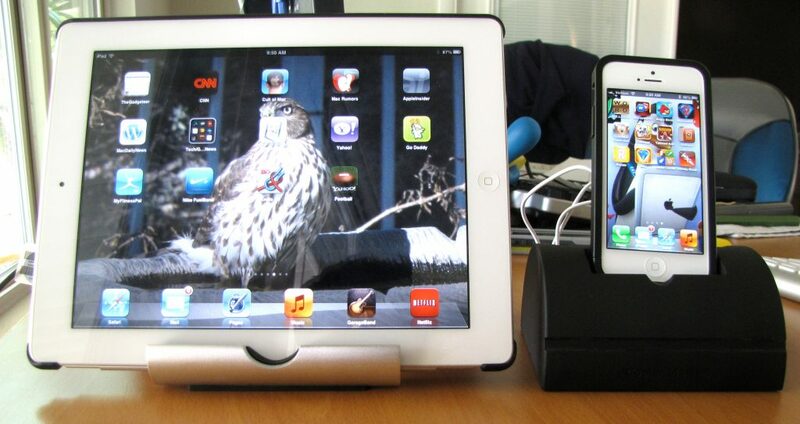 It is basically 2 separate stands (iPhone and iPad), designed to slide into each other when not in use. The design is both elegant and practical and fits in well Apple’s design philosophy. The overall dimensions are 5.38 x 4.72 x 2.8 inches. 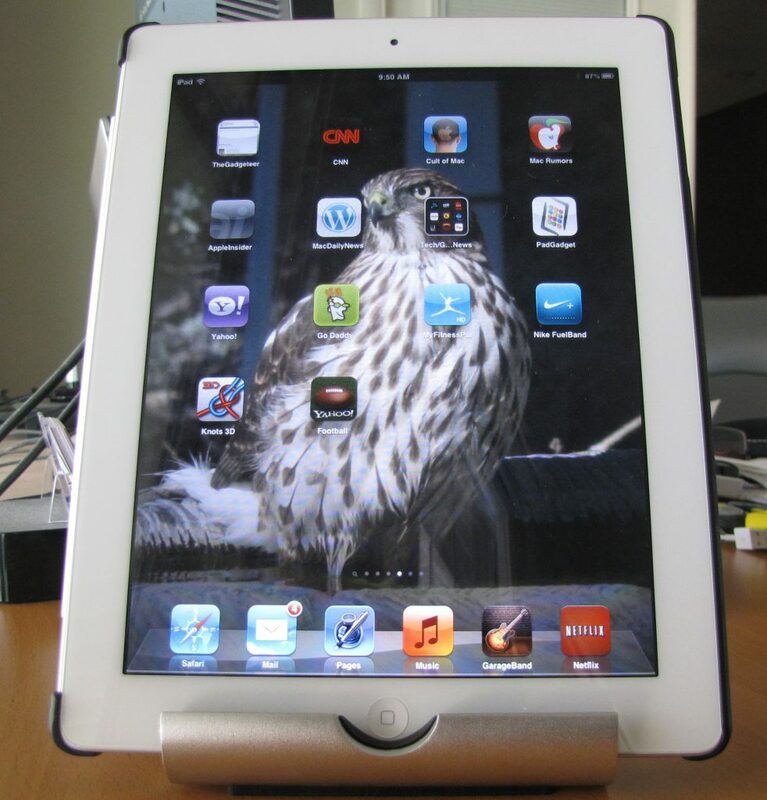 The outer stand, designed for the 2nd, 3rd and 4th generations iPad and iPad mini is made of rubber-covered aluminum. The stand is solid and heavy. 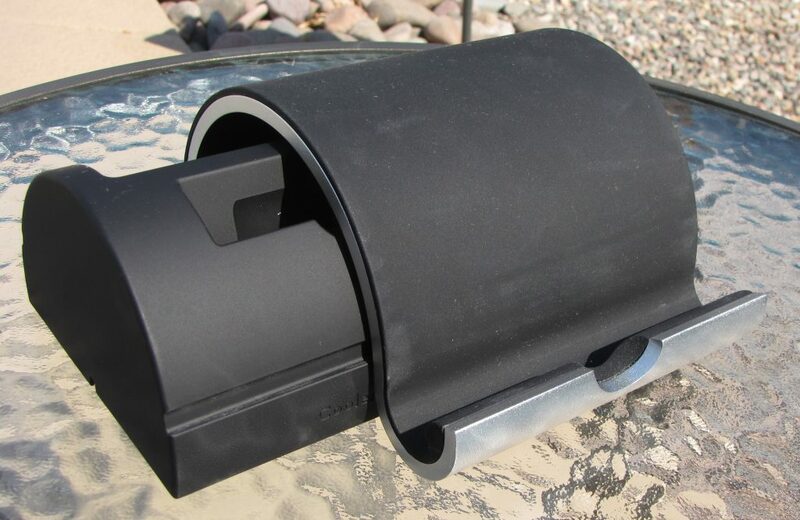 It is designed to hold the iPad in a landscape or portrait mode. The opening of the stand is wide enough to accommodate my iPad with the protective back cover on it. Unlike the iPhone part of the DUO, the iPad stand does not have any cutouts for your charging cable. The size and weight of the stand makes for a very stable platform for the iPad. 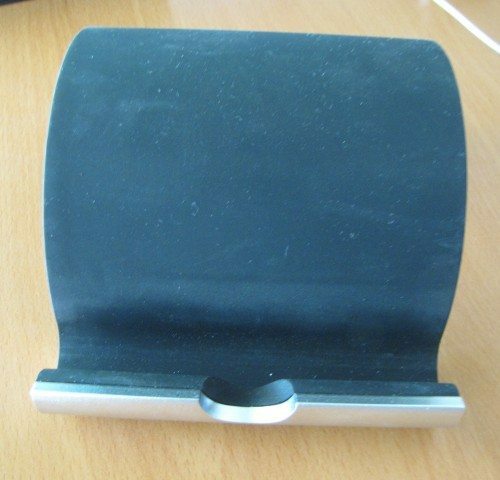 You may also notice that the rubber on the stand does tend to be a lint magnet. When the iPad is in portrait mode, there is a nice cutout that allows you to access the Home button, a nice touch in my opinion. My iPad sits at a comfortable viewing angle while in the stand, and it felt very secure and stable. Although the stand only allows you to view your iPad at one angle, I don’t find this to be an issue. The inner part of the DUO is the iPhone stand. This stand is designed to fit the iPhones 4, 4s, and 5. I am using the iPhone 5 for this review. The iPhone stand seems to be made of a hard plastic materia,l and like the iPad stand, it is heavy. The stand feels very solid and looks like it could take some abuse. 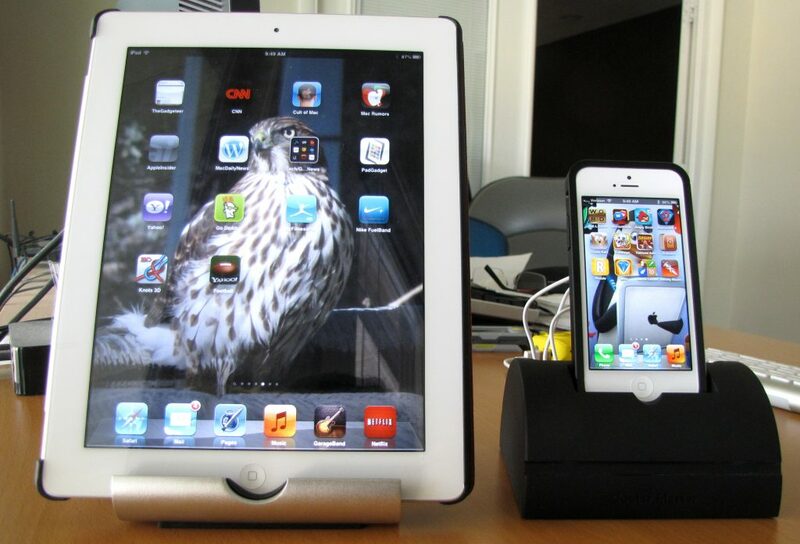 Like the iPad part of the DUO, the iPhone stand is an elegant and effective design. 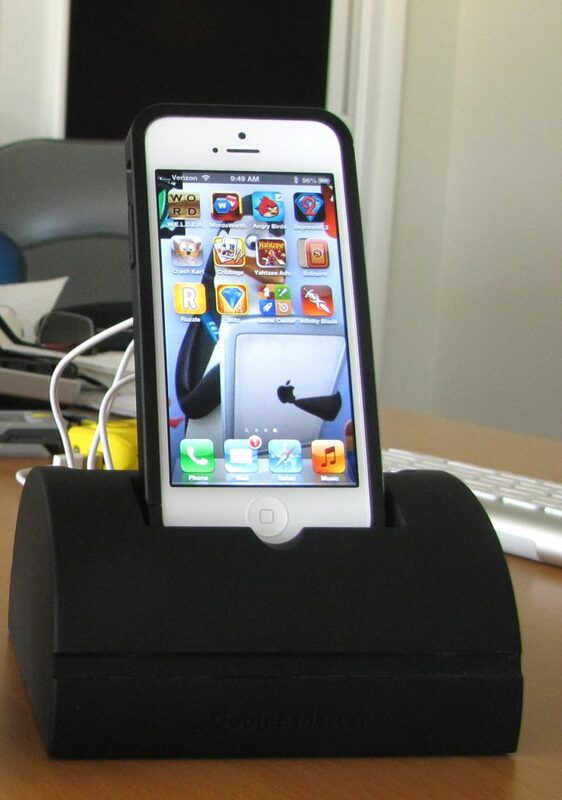 The top of the iPhone stand has two cutouts, one for the iPhone and one for accessories. The iPhone cutout is designed to allow a user to run the charging cable and earphone jack into it so that you can use the stand as a charger. 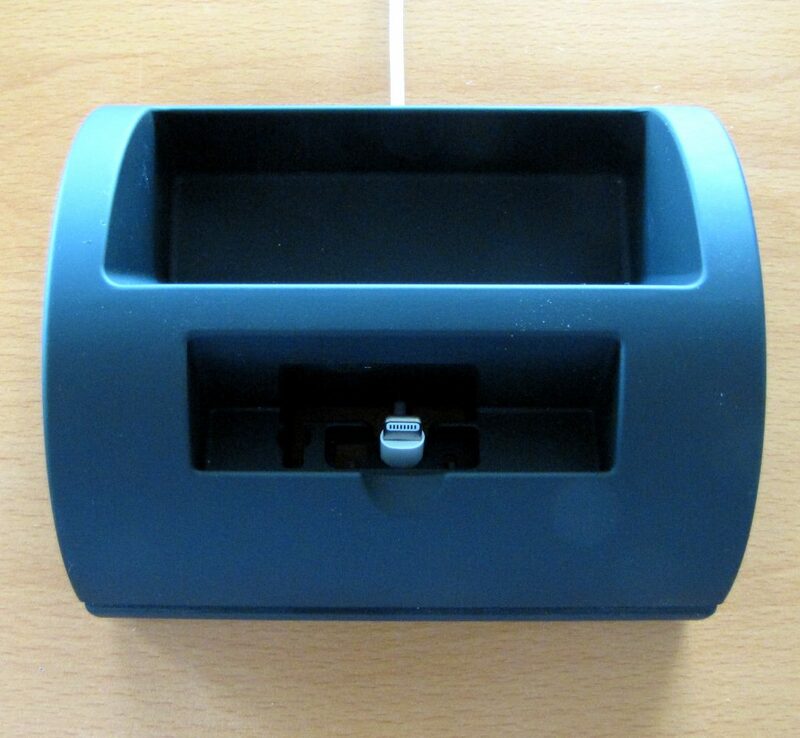 Using the stand as a charger is relatively simple; you place the iPhone end of the charging cable up through the opening inside the stand and seat it into the cutout designed to hold the cable end. The cutout is designed to hold the newer iPhone charging cables as well as the older 30-pin ones. You use the same procedure when running the earphone cable. Just as a note, the cutouts seem to be designed to precise tolerances, so I would suggest using only the OEM cables with the DUO. Like everything else on this product so far, the design is well thought out and executed. 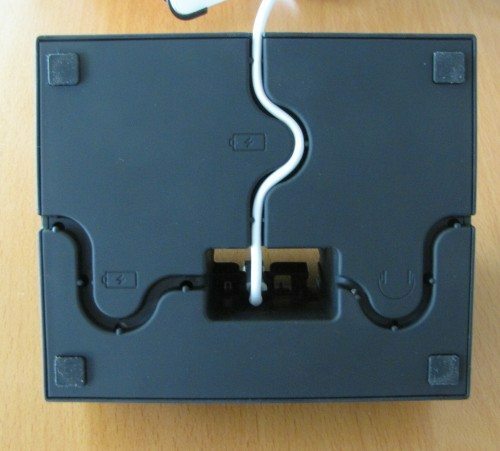 The bottom of the iPhone stand has three wire chases designed to allow you to run your power cable as well as your earphone cable. The only difference that I can see is that the channel for the earphone cable is slightly narrower than the power cable channel. 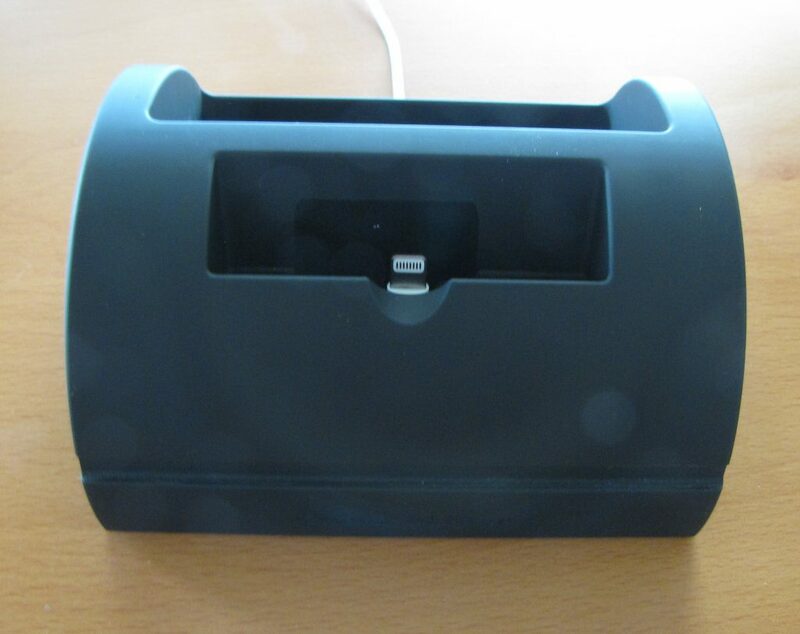 The bottom of the stand also has four rubber feet to keep the stand from slipping on your work surface. Although the opening in the iPhone stand is large enough to accommodate some iPhones in cases, you may not be able to charge your phone this way. As you can see my iPhone with an aluminum bumper case fits in well and charges, but this may not be true with all cases. The same goes with using the earphone jack setup on the stand. So, in the grand scheme of things, what do I think of the Cooler Master DUO? 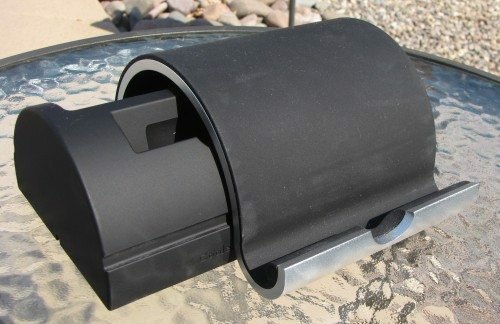 I think it is a very practical and useful tool with a surprisingly reasonable price ($49.95). The design and quality of materials not only allow the DUO to function well, but it just looks cool. As I stated in the opening of this review, I am a usability guy. I will sacrifice looks for functionality. With the Cooler Master DUO, I don’t have to sacrifice either. I loved the concept and design of the Cooler Master Duo when I first got it, and for the most part I still do. 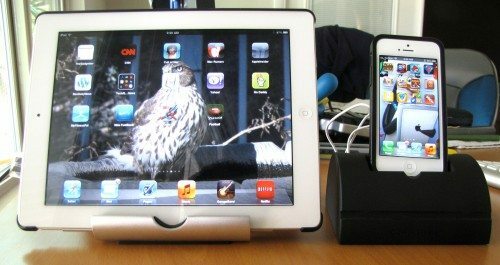 I use the iPad stand daily, but I found it hard to use the phone stand with a case or cover on my phone. With some cases I have used in the past, the phone fits in the stand, but is not able to charge and with other cases they do not fit at all. If there was some way to resolve the charging issue this would be a perfect combo.